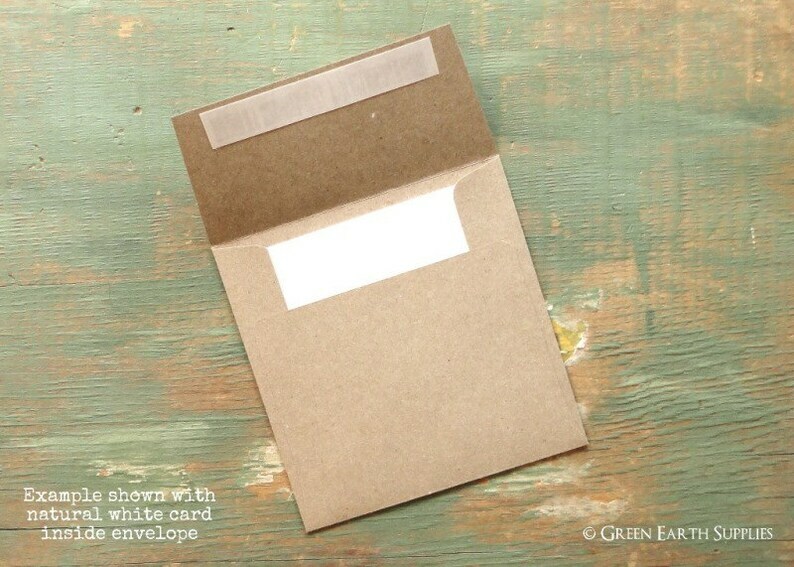 Square mini folded cards with kraft envelopes for small notes and special occasions; a perfect eco-friendly option! Be advised that these small sizes are not suitable for mailing individually with USPS. I'm a little bit addicted. I love this size, the kraft paper, the adhesive seal. Great product! Repeat order! Love these little suckers.